One whole endogenous retrovirus genome was spotted in a study of 2,500 human genomes. 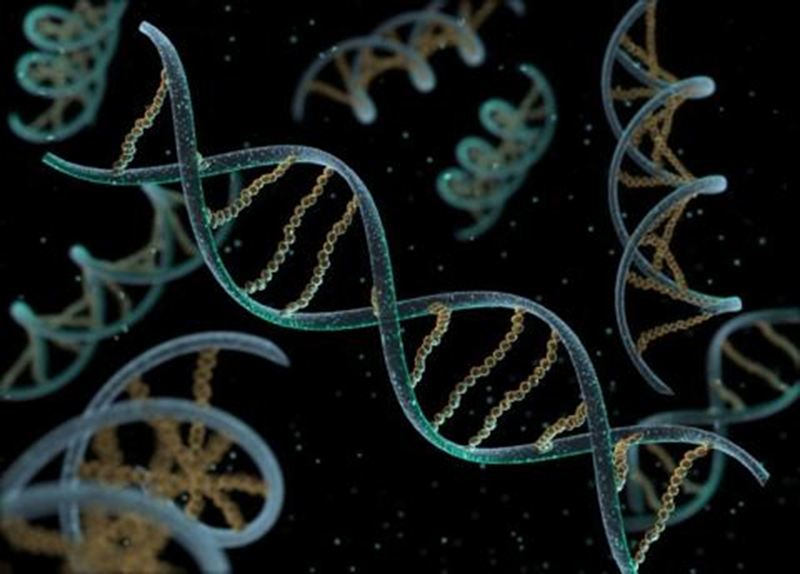 Photo: Exploring human DNA reveals genetic material from ancient viruses. Nineteen new pieces of DNA — left by viruses that first infected our ancestors hundreds of thousands of years ago — have just been found, lurking between our own genes. Whether or not it can replicate, or reproduce, isn’t yet known. But other studies of ancient virus DNA have shown it can affect the humans who carry it. The study looked at the entire span of DNA, or genome, from people from around the world, including a large number from Africa — where the ancestors of modern humans originated before migrating. The team used sophisticated techniques to compare key areas of each person’s genome to the “reference” human genome. These latter samples showed more signs of HERVs, in line with the high level of genetic diversity in African populations. That diversity stems from the longtime stability and intermixing of the continent’s population — as opposed to other populations in Europe, Asia and the Americas that come from specific out-migrations in ancient times.